This chapter describes the Virtual Machine Manager (virt-manager) windows, dialog boxes, and various GUI controls. It is important to note which user you are using. If you create a guest virtual machine with one user, you will not be able to retrieve information about it using another user. This is especially important when you create a virtual machine in virt-manager. The default user is root in that case unless otherwise specified. 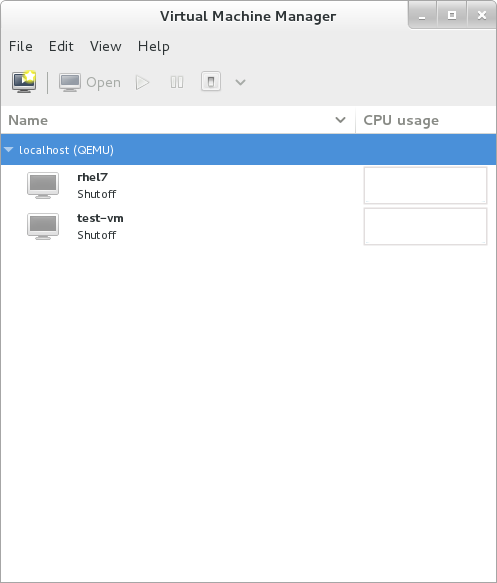 Should you have a case where you cannot list the virtual machine using the virsh list --all command, it is most likely due to you running the command using a different user than you used to create the virtual machine. Using ssh to manage virtual machines and hosts is discussed further in Section 18.2, “Remote Management with SSH”.